What is Kehillat Veahavta all about? Synagogue: Shabbat services (Friday evenings and Saturday mornings, all Festivals) and Holiday celebrations; an extensive Bar Mitzvah program; and Tikkun Olam projects for the benefit of the greater Zichron Yaakokv area. Community: The Kehilla is made up of native Israelis, veteran olim (immigrants) and new olim. Some Olim families chose to settle in Zichron Yaakov due to the Kehilla's existence and its willingness to help their absorption process. To enhance "community" the Kehilla provides mentoring to individuals and families new to the area, holiday celebrations, community trips and events, and community service projects. 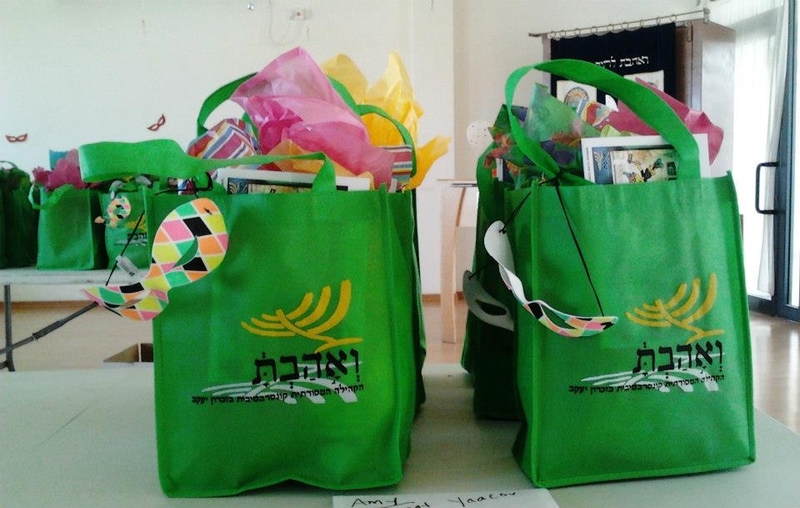 There is also a concerted, "soft-pedaled" effort to reach out to secular Israelis to offer them access to the richness, joy, and wisdom that Judaism provides. Education: Learning through an active "Bet Midrash" - in Hebrew and in English - is one of the hallmarks of Kehillat Veahavta. A variety of courses is offered for adults, and there are monthly "Rosh Chodesh" workshops and celebrations. There is a vibrant NOAM youth movement. Culture: The Kehilla offers cultural events which have Jewish content; open to both members and the general public. This pillar is based on the belief that Judaism in Israel in the 21st century must include the Israeli-Zionist cultural heritage of the past hundred years.